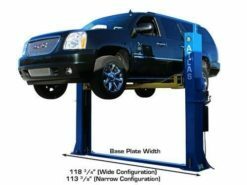 The Atlas® BP-12000 is a commercial grade heavy duty 12,000 LB. 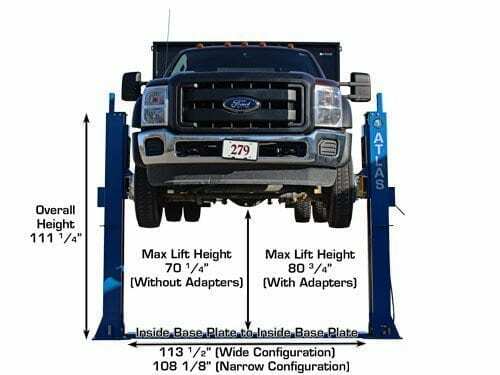 capacity 2 post base plate above ground lift. 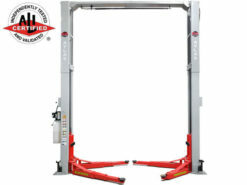 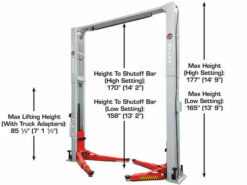 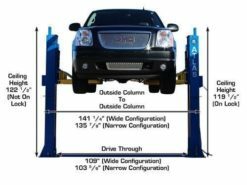 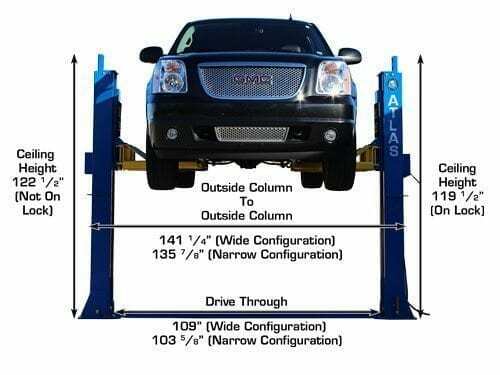 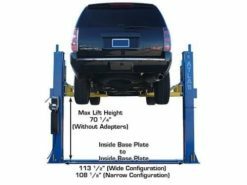 This above ground lift has over sized columns, symmetric three stage arms, and single point lock release. 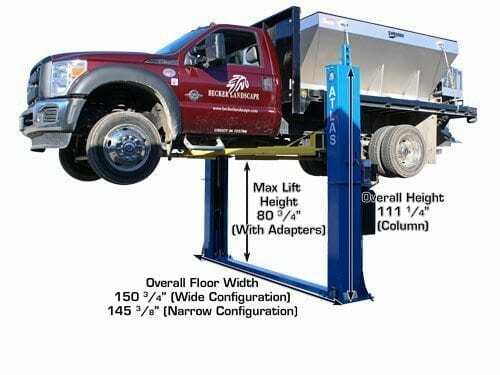 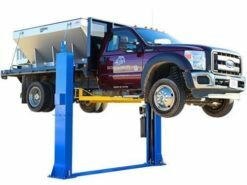 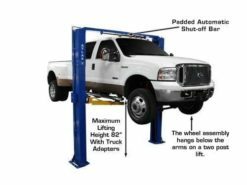 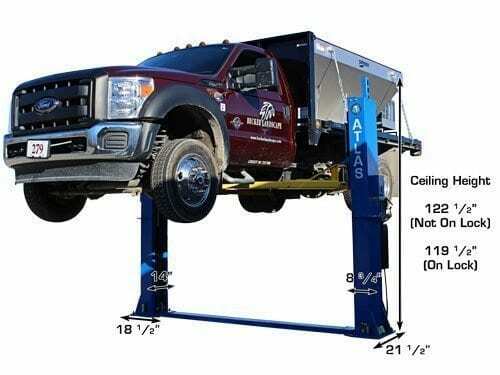 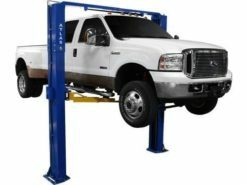 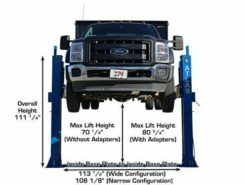 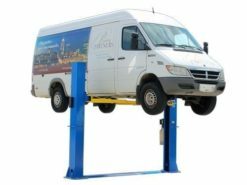 This lift is perfect for those commercial garages that want to lift heavier vehicles but have limited ceiling height. 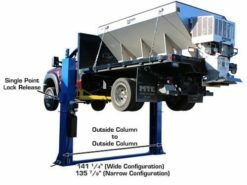 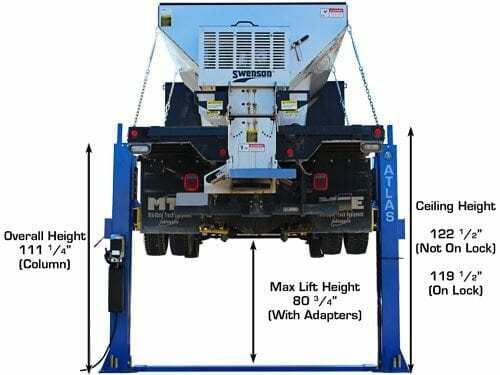 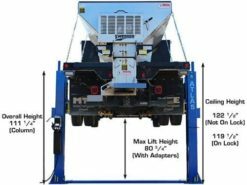 The Atlas® BP12000 can be installed at two different width settings to accommodate wider trucks or trailers and to facilitate “driving between” the lift columns.